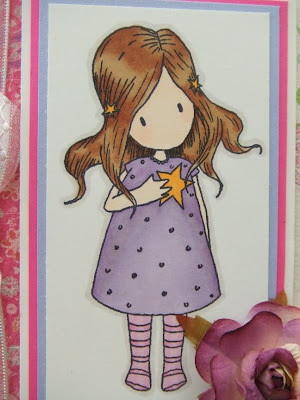 The Sugar Bowl have a fab sketch challenge this week. They also want you to include 'Ribbons & Bows' on your project. The image has been coloured with Promarker Pens. Teri this is soooo cute!! Your coloring looks amazing! Great card! Teri, your card is just lovely! 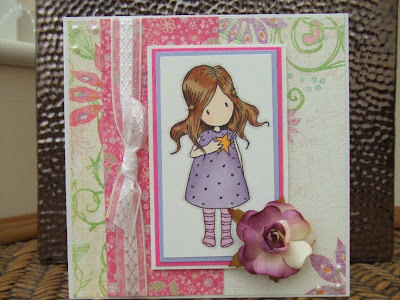 Love the lovely colored image, papers and the gorgeous rose! Thanks for joining the Sugar Bowl challenge and hope to see you in the next one too! Have a great day! I'm absolutely ga-ga over the flower. gorgeous card beautiful paper and what a precious image. Love it! really sweet, love the ribbon!